The Istrian Peninsula is a wedge-shaped peninsula located in northwest Croatia. 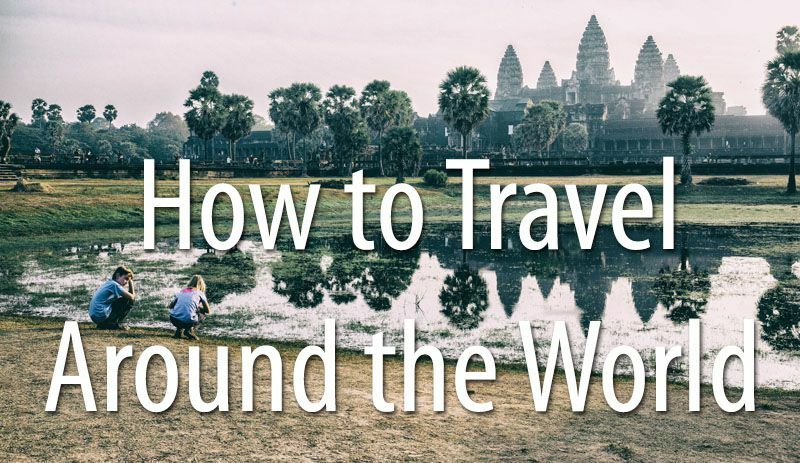 It may look small on a map, but there is a lot to see and do here. 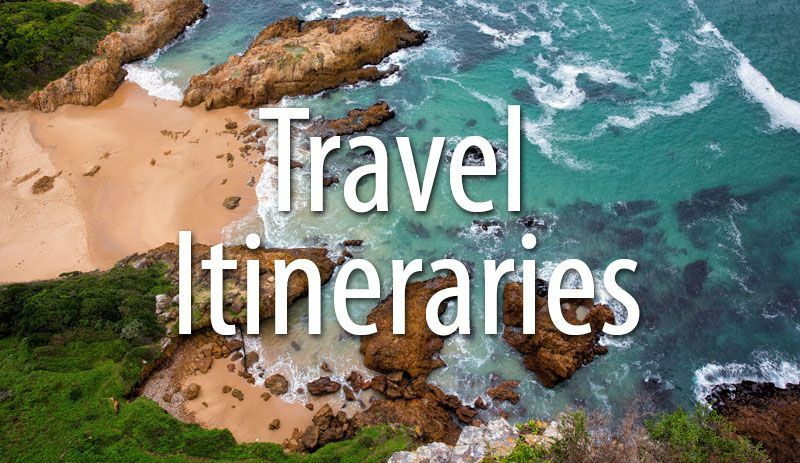 Visit charming seaside towns, go cliff jumping at Cape Kamenjak, explore the hill towns, visit Roman ruins, dine on fresh seafood, and soak up the sun at the beach. We spent 3 days on the Istrian Peninsula at the very end of July. 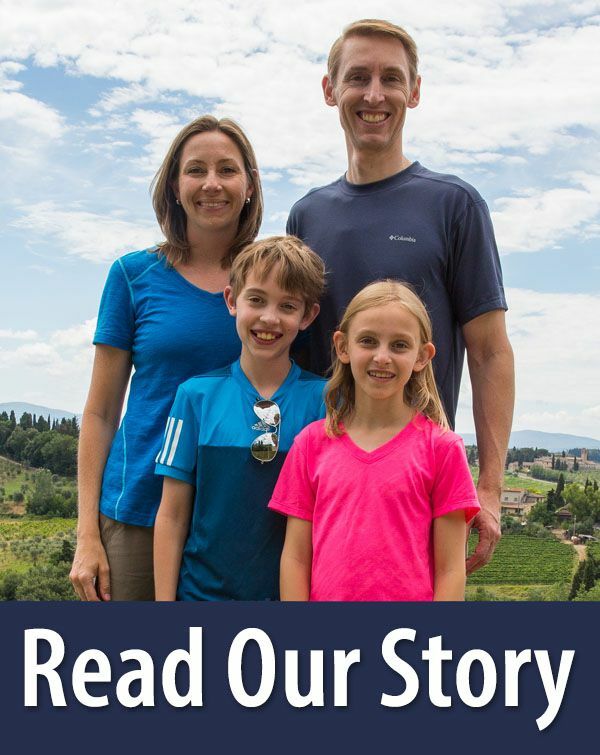 Learn how we planned our time, what worked well, and what we would do differently on a return trip to the Istrian Peninsula. We arrived in Porec in the late afternoon. Earlier in the day we visited Plitvice Lakes National Park and then drove to the Istrian Peninsula. This drive takes about 3 hours. For four nights we stayed at the Aparthotel Adeo. 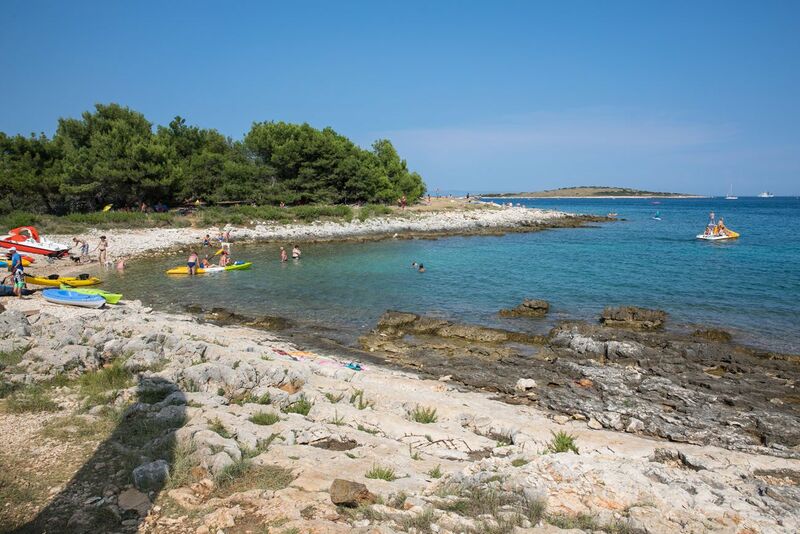 This small resort is located just outside of Porec. We picked this hotel for its convenient location near E751, the main highway that runs north-south along the Istrian Peninsula. Plus, it had a pool, which was the perfect place to end the day, especially when traveling with kids. We spent the morning in Pula, ate lunch in town, and then spent the afternoon in Cape Kamenjak. 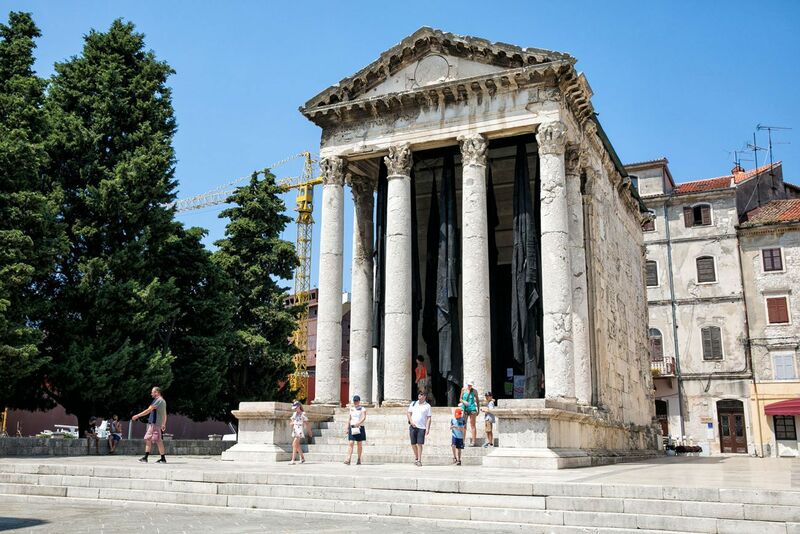 Pula is the largest city on the Istrian Peninsula. It has quite the impressive collection of Roman ruins scattered through the compact old town, including an ancient Roman arena. Cape Kamenjak is an outdoor paradise, with beaches, water sports, cliff jumping, and the Safari Bar, a very unique beach bar. 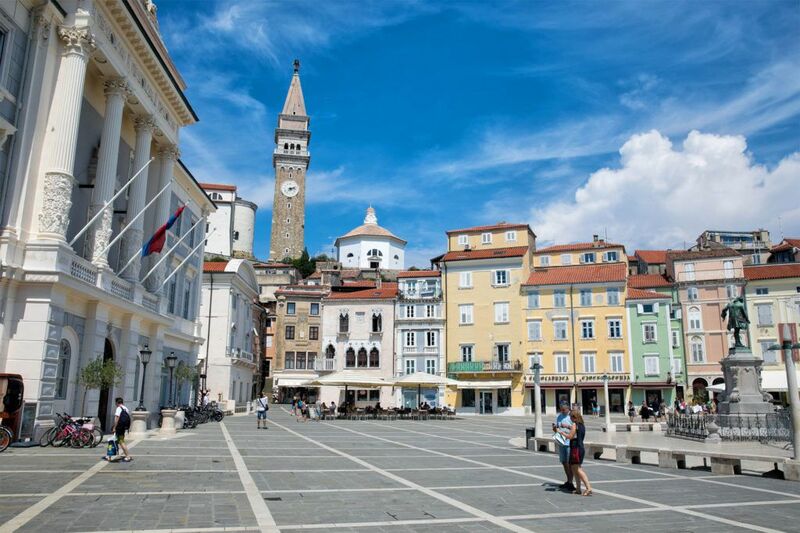 Piran and Koper are two coastal towns located on part of the Istrian Peninsula called Slovenian Istria. 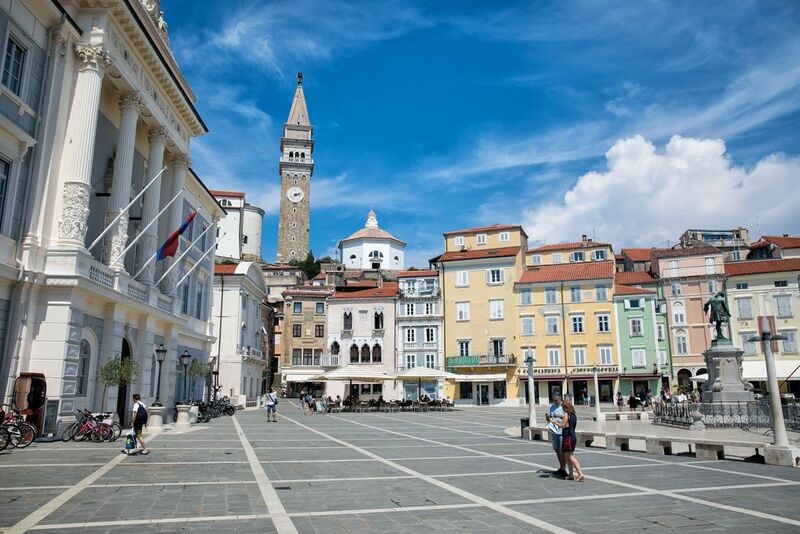 Piran is well-known for its colorful main square, Venetian-style bell tower, beaches, and medieval walls. 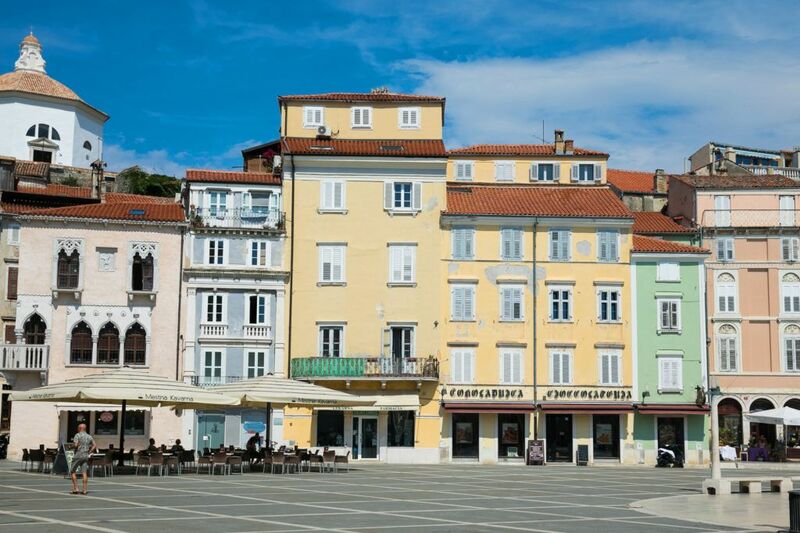 Koper is smaller, with boutique shops and historical sites. To get here from Croatia, you will pass a border checkpoint to enter Slovenia. Lines can be long at the border, at least they were during our visit in the summertime. Mornings and late afternoons tend to be the worst. To avoid sitting in a long line, we got an early start, leaving our hotel near Porec by 8 am. Ahhh…Rovinj. This is the town that stole my heart. 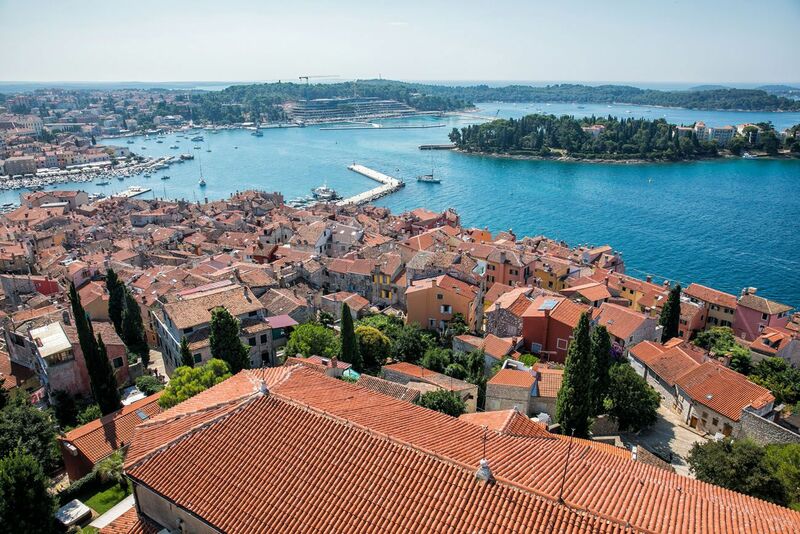 With twisting cobblestoned lanes, colorful buildings, a photogenic harbor, and Venetian architecture, Rovinj feels more Italian the Croatian. Dine at some of the best restaurants in Istria, watch the sunset from one of several unique bars, go the beach, and wander aimlessly through the old town. This is the place where I wished we had more time. We spent one day here, which is certainly enough to see the highlights. In hindsight, I would pick Rovinj over our hotel near Porec for our home base. Bright and early, we checked out of our hotel and drove north to Slovenia, another gorgeous spot in Europe that amazed us. Yes, I know that Croatia gets hot in the summer. But temperatures consistently over 35°C (95°F)…that, I was not expecting. We visited the Istrian Peninsula at the end of July. Midday temperatures hit 35°C (95°F) with a heat index up over 38°C (100°F). If you are not accustomed to these temperatures, it can feel miserable walking through the towns in this heat. Essentially, we spent 3 full days on the Istrian Peninsula. We thought that we would be able to visit more than we did with those three days. However, the soaring midday temperatures sapped our energy so by mid-afternoon, we were ready for some chill time by the pool at our hotel. One more day would have been perfect for us. This would have given us the time to visit Motovun and one or two other small towns. If we could do it over again, we would stay in Rovinj. We picked our hotel, the Aparthotel Adeo, located just outside of Porec, for three reasons. Since it was not located in a town like Rovinj or Porec, we did not have issues parking our rental car. If you stay in the old town of Rovinj, you will have to park your car in a lot outside of town and then walk into town to get to your hotel. We planned to take a road trip every day and we did not want this hassle. Aparthotel Adeo had its own parking lot so parking our car was not an issue. We wanted a hotel centrally located on the Istrian Peninsula. This cut down on driving times to get to Pula and to get to Piran and Koper. We wanted a pool and a hotel with a resort-like feel for Tyler and Kara. Typically, we avoid resorts, but Aparthotel Adeo is smaller and quieter than the mega-resorts that dot the coastline here, which was perfect for us. Rovinj is located near the center of the Istrian Peninsula. If you stay in the old town, you will have parking issues, but the main parking lots in Rovinj are not that far from the old town. And to watch the sunset from town every night and to walk the city streets once all of the day trippers leave would be wonderful. 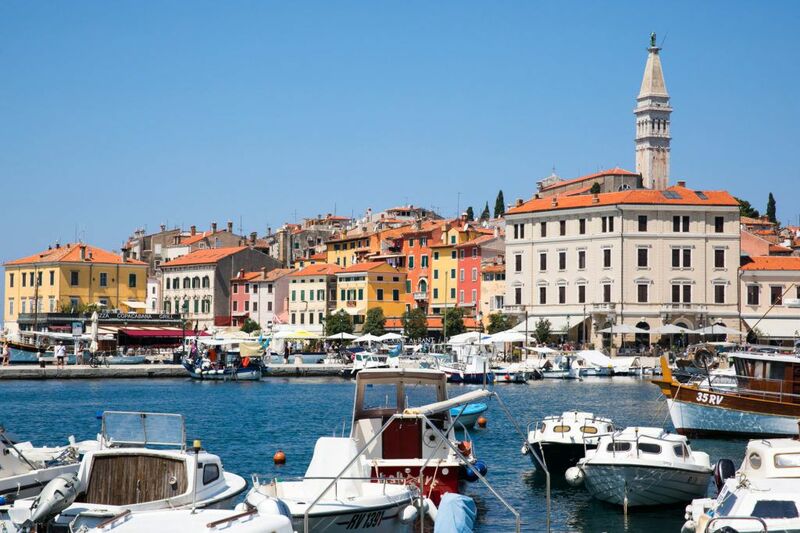 If you only have time for one place, visit Rovinj. 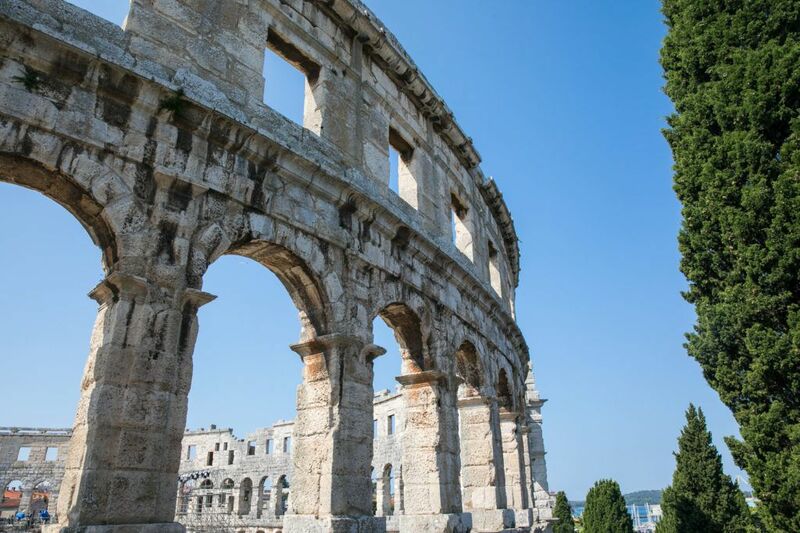 Pula is worth it to visit the Pula Arena. Adding on the day trip to Cape Kamenjak makes it a busy day but it was a nice mix of city sights and beach time for us. 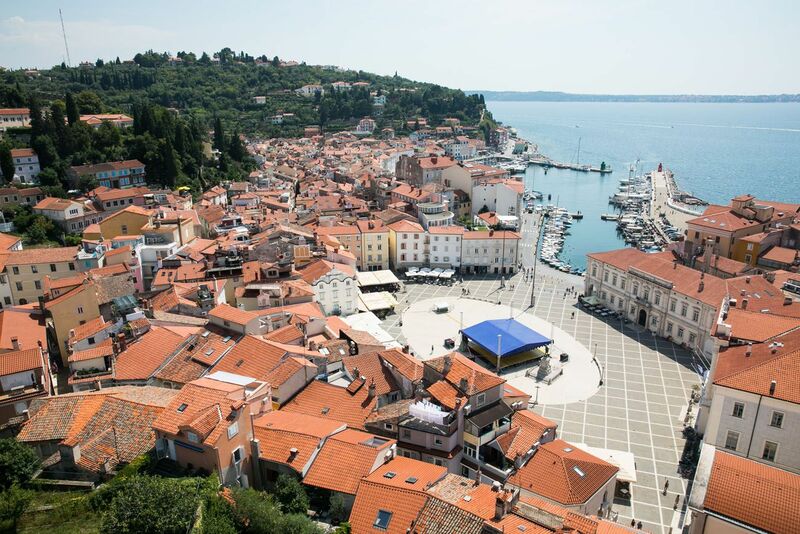 If you want a taste of Slovenia, don’t miss Piran, but Koper is skippable. Motovun is an iconic hill town that is worth a quick visit. I read that you can get a very nice view of Motovun from Groznjan. Zavrsje is a nearby hill town that is nearly deserted and fun to explore. Porec is very small with some decent restaurants and the Euphrasius Basilica, a UNESCO World Heritage Site. 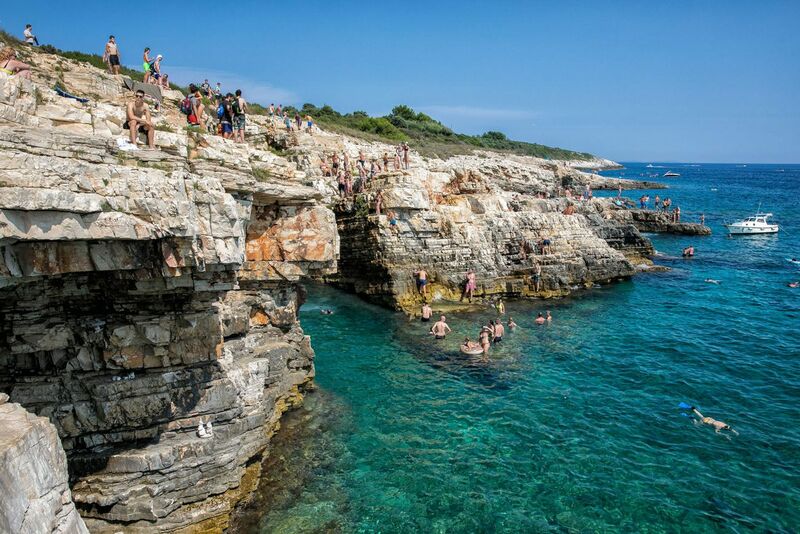 Just outside of Porec are two spots to visit with kids: the Aquacolors Water Park and Adventure Park Sky Fox. There is also a underground cave called Jama – Grotta Baredine. And there are even more small towns to visit. Bale and Hum make the list. Novigrad, located on the coast, doesn’t have a list of sites to see but there are some great restaurants to try (Café and Wine Bar Vitriol and Vecchio Mulino made our list). These days are listed in order of must-see to nice-but-not-necessary. By Car. 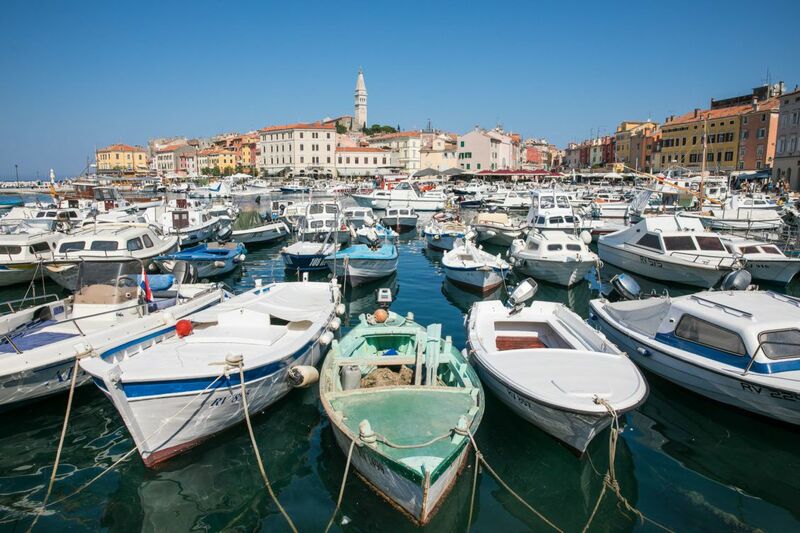 The Istrian Peninsula makes a great road trip destination. Combine a visit here with a trip to Slovenia or as part of an epic road trip through Croatia. By Plane. You can fly into or out of the Pula Airport. 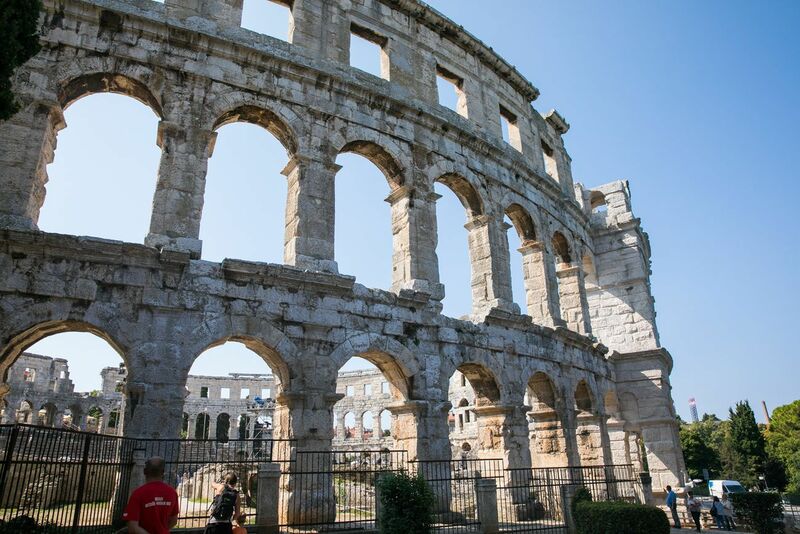 If you are starting your trip on the Istrian Peninsula, fly into the Pula Airport, pick up your rental car, and drive to your hotel. By Ferry. There are a number of ferries that connect Venice to the Istrian Peninsula. Click here to learn more. If you are traveling to or from the Dalmatian Coast of Croatia, you can take a ferry from Pula to Zadar. Learn more here. The best way to get around the Istrian Peninsula is by car. You can get around by public transportation, but it can be very frustrating. 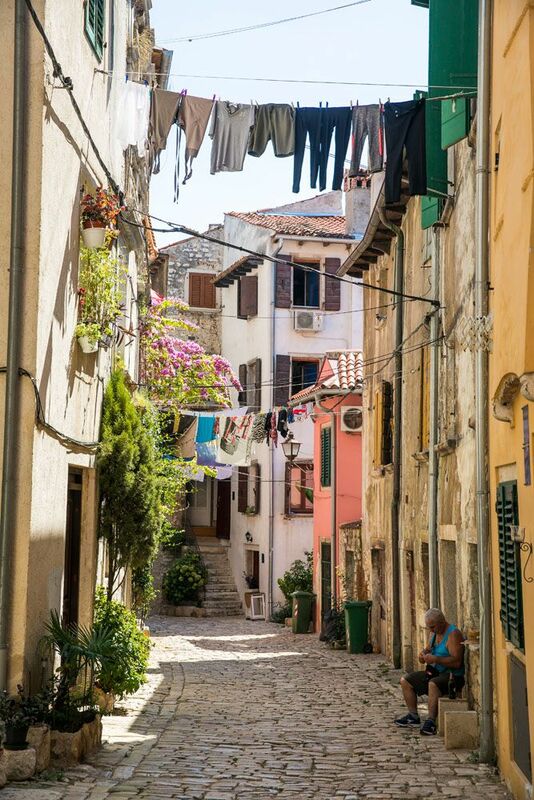 In many of the towns, such as Rovinj, Porec, and Pula, you cannot park in the old town. You will need to park in a parking lot and walk into town. In our experience, these main lots would fill up by 10 am, so it helps to get into town early. The Istrian Peninsula can be visited year-round. 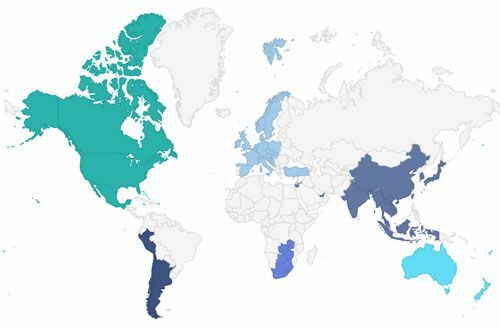 The most popular time to visit is during the summer months from June through September. 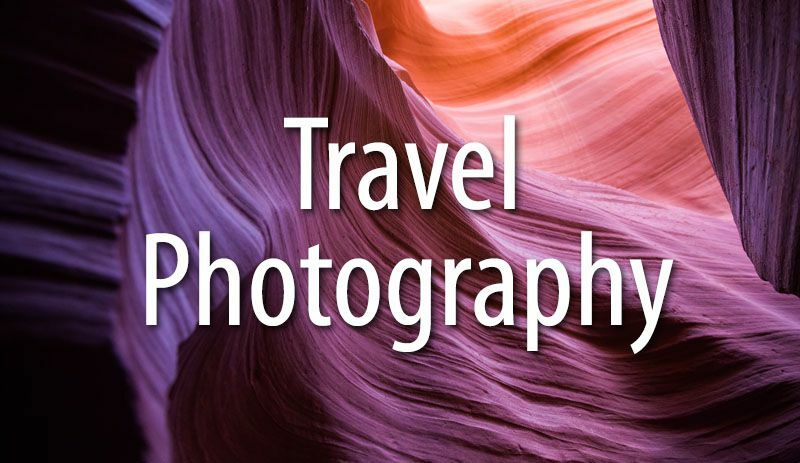 Expect larger crowds and make your hotel reservations and dinner reservations in advance. May is a nice month to visit. Expect warm temperatures and lower crowds than during the summer months. Some restaurants and hotels will be closed during the low season (November to April). I cannot speak from personal experience for Istria, but we did visit Croatia (Dubrovnik, Split and Brac) in April and it was wonderful!! The towns were just waking up after the winter season, crowds were very low, and temperatures averaged about 18 – 24°C (65 – 75°F) during the day. It was a bit too chilly to go to the beach, but to visit Dubrovnik crowd-free was amazing. If we did it again, we would stay in Rovinj. Take a look at our article on Rovinj to get hotel recommendations. If you like the idea of staying outside of one of the coastal towns, there are a bunch of mega-resorts located near Porec. Aparthotel Adeo (where we stayed) is a much smaller resort. It was good but it was not great. The rooms were shabby compared to the photos online. Plus, the hotel is noisy and if you are a light sleeper this could be an issue for you. However, the breakfast was great and Tyler and Kara loved hanging out in the pool at the end of the day. 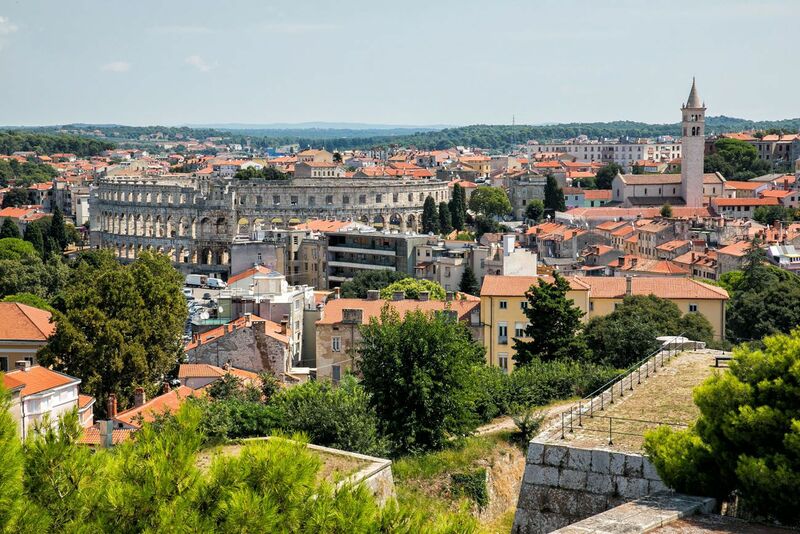 There are a lot of hotel options in Pula, but with it being located on the southern tip of the peninsula, you will end up spending a lot of time in your car to day trip to the other towns. Continue the road trip through Croatia. Visit Plitvice Lakes and then drive down the Dalmatian Coast, visiting Zadar, Split, Dubrovnik, Korcula, and one or two islands. Drive north into Slovenia. With five or six days here you can visit Ljubljana, Lake Bled, Lake Bohinj, and Triglav National Park. Take the ferry or drive to Venice. Spend your remaining time in Italy. 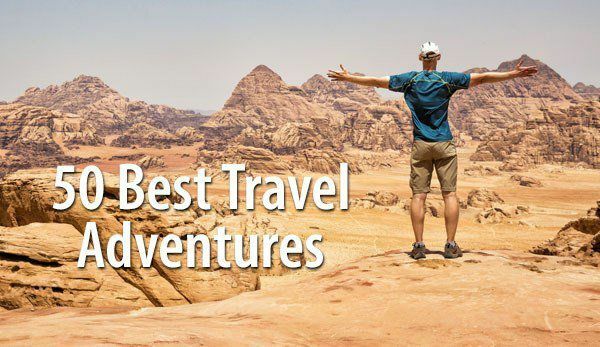 Are you planning a trip to Croatia? If you have any questions about this itinerary or if you want to share your experience, comment below. 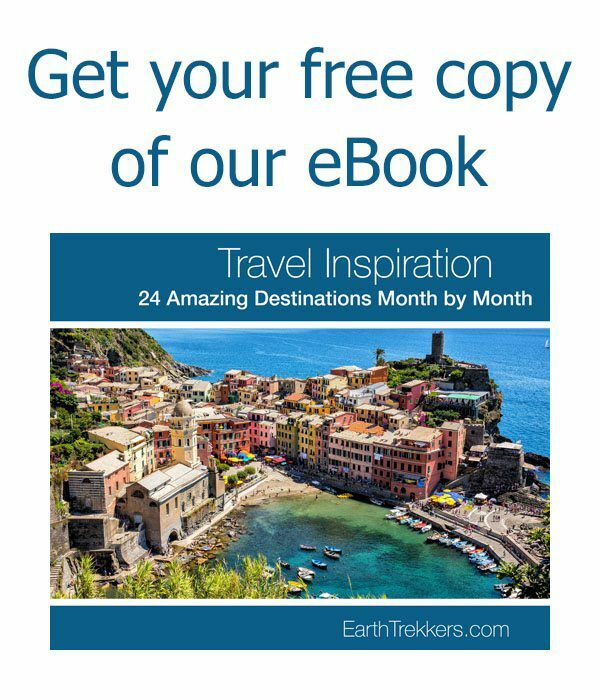 Planning a trip to Croatia? 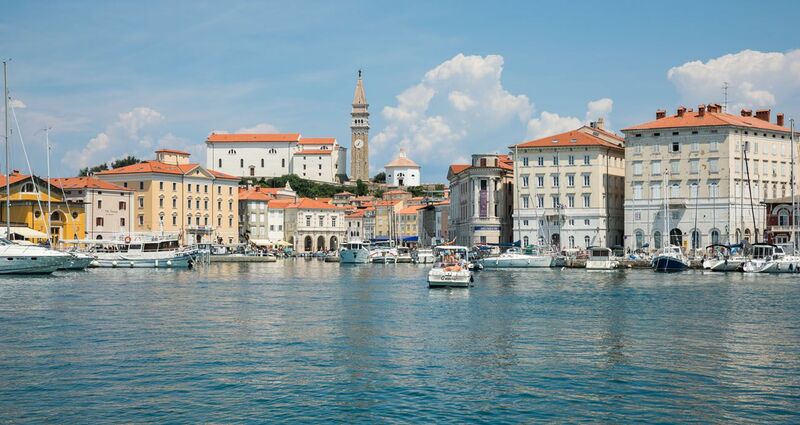 Read all of our articles in our Croatia Destination Guide. Note: This post contains affiliate links. When you make a purchase using one of these affiliate links, we get paid a small commission at no extra cost to you. Try also the inlands of Istria ( Slovenia and Croatia).Most people go to the sea, but on the peninsula is much more to see. 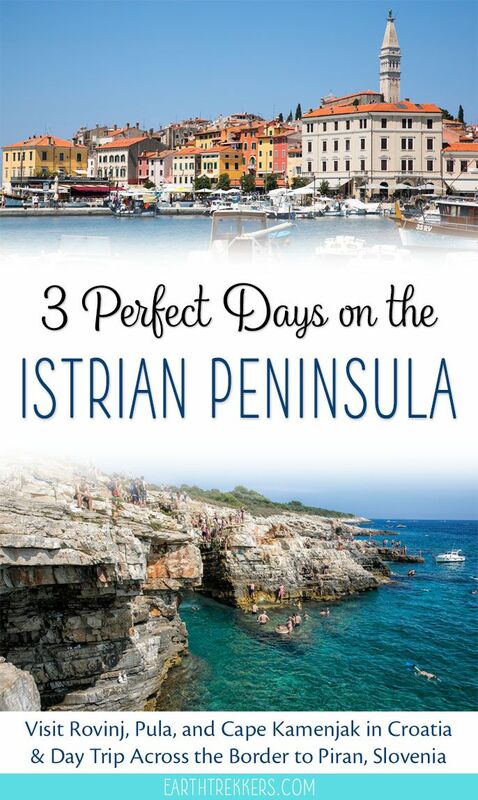 More authentic, no mass tourism………the unspoiled, quiet and worthwhile peninsula Istria, like Tuscany.